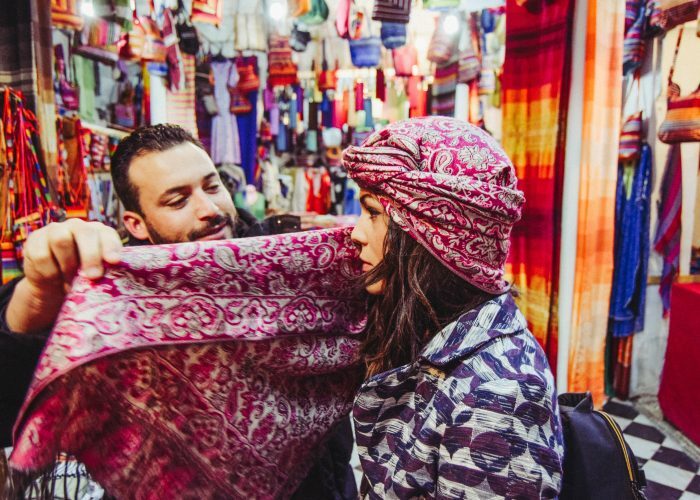 Morocco has earned itself a spot on many bucket lists, but its unfamiliar culture can also cause some concern amongst U.S. travelers. And while Morocco is both safe and beautiful, make sure to do your research beforehand for a more pleasant and smooth experience. So if you’re thinking about booking a trip, read up on these 11 things to know before you go to Morocco. 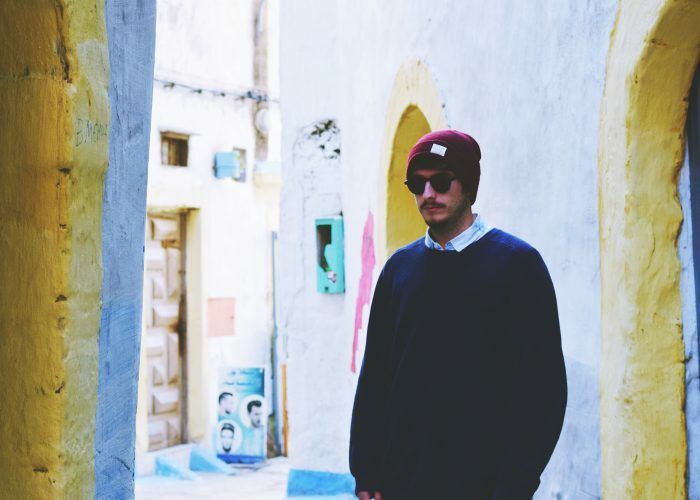 Morocco can be an overwhelming country to visit and you'll experience culture shock at some point on your trip. One way to ease these uncertainties is to book a trip with a tour group. I went on a trip for travelers between the ages of 18 and 29 with Geckos Adventures, and was extremely grateful that everything was pre-arranged and mostly already paid for. Another benefit of going with a tour group is that your tour leader can help you bargain or at least point you in the right direction of shops they know well—just be advised that they might be getting a form of commission. All tour guides also speak English and can help with translations—which is especially helpful at restaurants—and they will help you understand the medinas—more on that later. 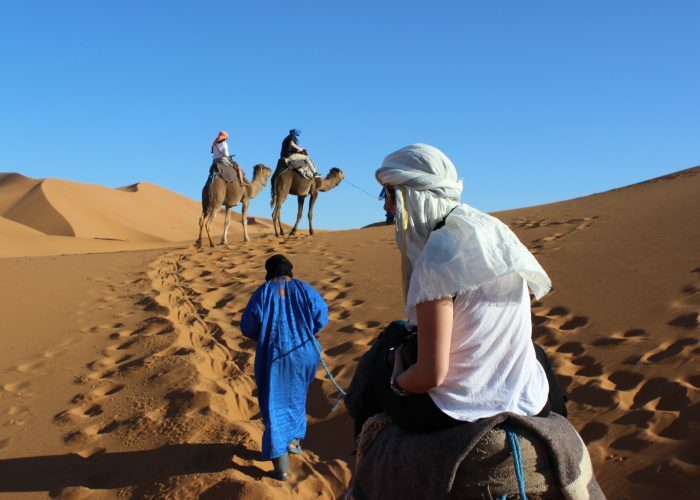 Tour leaders can also help make suggestions for things to do and help you arrange activities in your free time, which are good things to know before you go to Morocco. However, if you do go solo or with a travel partner, I suggest doing research on what cities and towns you want to visit—look at tour companies’ itineraries online and on Instagram for inspiration—and try to pre-arrange all of your long-distance transportation. 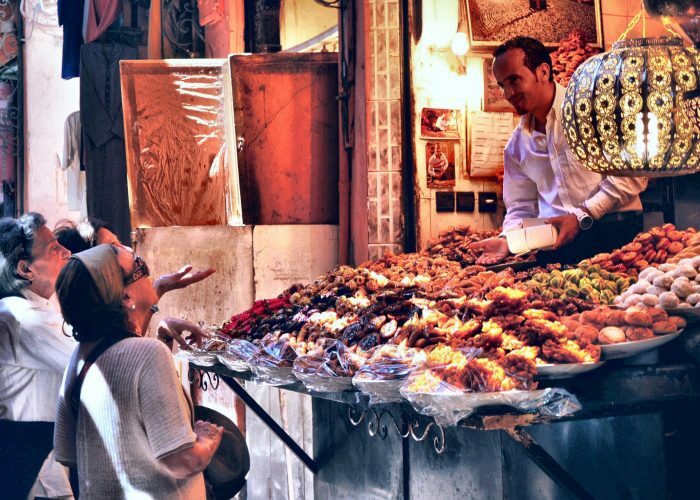 Medina translates to market in English; however, Moroccan medinas are much more than that. These car-less markets are really almost like cities, with houses, offices, restaurants, cafes, mosques, universities, and artisan stalls. Most major cities have at least one of them—the largest being Fes’ old medina—which has over 9,000 streets and 40,000 dead ends! To be a tour guide in the Fes medina you must have been born there because the streets are difficult for any non-local to navigate. 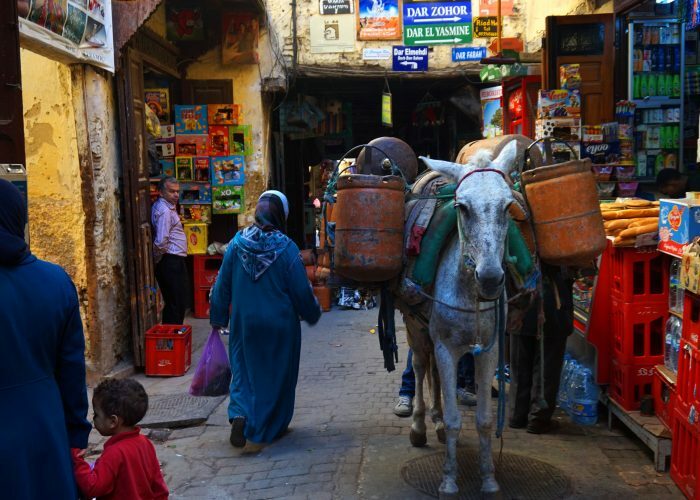 It’s strongly advised that you don’t venture into the Fes medina without a guide or specific directions. Other cities’ medinas are more manageable, like Marrakech’s; however, it still takes some time to get your bearings. 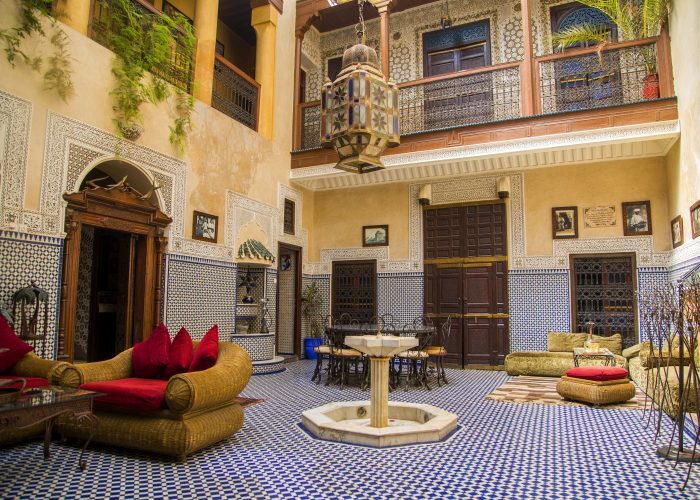 If you booked a stay in an Instagram-worthy riad (guesthouse) then you’re most likely going to be in a medina; this is one of the best things to know before you go to Morocco as you can easily get lost. Definitely still consider staying in riads, just make sure to ask for specific directions or ask for an arranged transfer beforehand. Bargaining is a major part of Arabic and Moroccan culture, so be prepared to bargain for almost everything, even taxis. In the medinas, try and get the price down by at least 50 percent from the original price. Bargaining this low isn’t considered rude to the artisan or merchant, it’s simply part of the job. Once you're set on the price you’re willing to pay, don’t budge or be afraid to walk away. You’ll likely find something very similar a few stalls down. Note that there are some actual storefronts in the medina that will have set prices and it’s rude to bargain with them; however, these are clearly marked as such. For taxis, research set prices between the hotel and airport if you don’t already have an airport transfer arranged—which I would recommend doing—and agree on a price before you get into the car. Once you’re at your hotel, ask the front desk what an average price should be for major tourist destinations or neighborhoods where you’ll be eating. This way you have firm ground to stand on when bargaining with taxi drivers. Another tactic I used on my return trips was stating a certain price that I paid to get there and saying that was the most I would pay for the return fare. Don’t feel obligated to leave a large tip either, rounding up is a standard tip. As a tourist, you’ll most likely be approached by solicitors offering tours, directions, or selling goods. One of the best things to know before you go to Morocco is that it’s best to just ignore anyone who is overly aggressive. As you’re leaving your hotel, sometimes people will say they’re an associated tour guide with wherever you’re staying—this is never the case and they’ll overcharge you, so always book activities in advance or through your hotel front desk. Also be aware that people may try to solicit artisan products outside of the medina; note that these products are most likely counterfeit or overpriced. In the medina children and beggars will offer to help you with directions, and while this might be tempting, they’ll always demand money after. 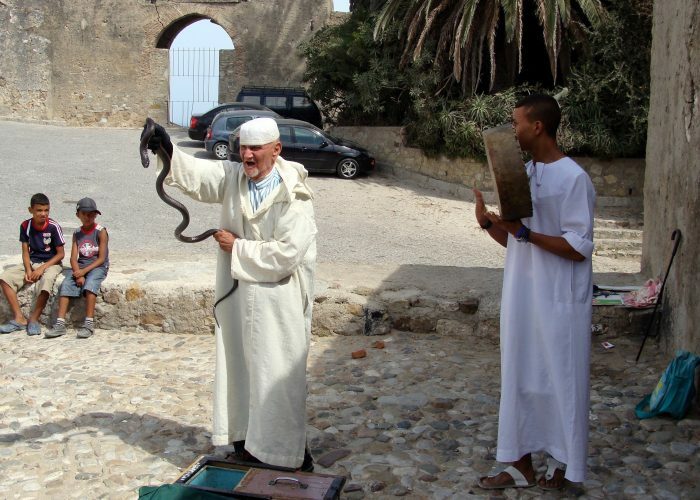 And finally, be aware of snake charmers, while this didn't happen to anyone in my group, we were warned of charmers placing snakes on a tourist's neck and then demanding a price for it to be removed. To avoid these scams, be assertive with solicitors and don’t engage in any conversation past “no.” It’s also helpful to wear sunglasses so you can avoid direct eye contact if need be. Do you speak English? - wash kat'ref negliziya? I downloaded an app called Speak Arabic that was extremely helpful on my trip—available for free in the App store. It’s wise to dress on the more moderate end of the spectrum to avoid unwanted attention, especially for women. While Morocco is extremely Westernized, moderate dress is still very much a part of Arabic culture. As a general rule of thumb, cover to just above or at your knees as well as your sh­oulders and you’ll fit right in. For more packing tips, check out my packing list for women. 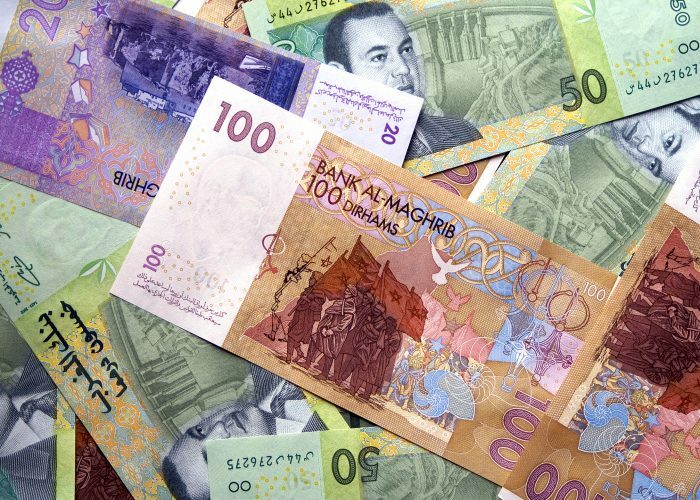 The currency of Morocco is the dirham, and one of the easiest things to know before you go to Morocco, is you just have to eliminate the last zero to convert a price to USD. So if something costs 100 dirhams, it'll be about $10 USD. I recommend ordering currency from your bank ahead of time so you are prepared before your trip. And if you aren't stopping in a major city, keep in mind that ATMs are limited in rural areas and small towns. 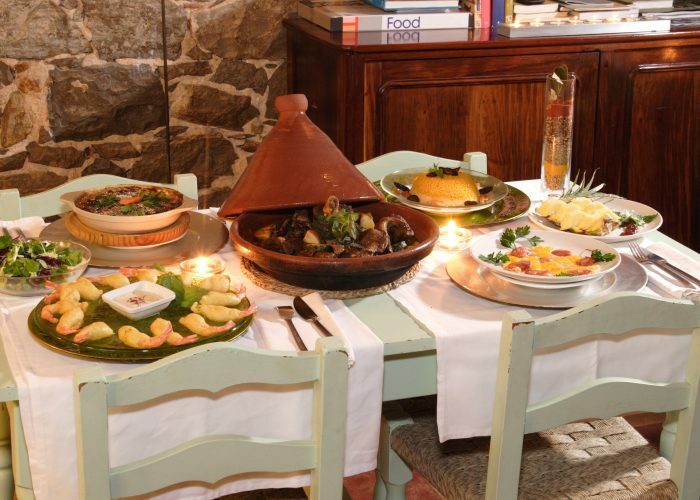 Morocco's most common food dishes typically contain meat and gluten, which is one of the most important things to know before you go to Morocco if you have either of these dietary restrictions. 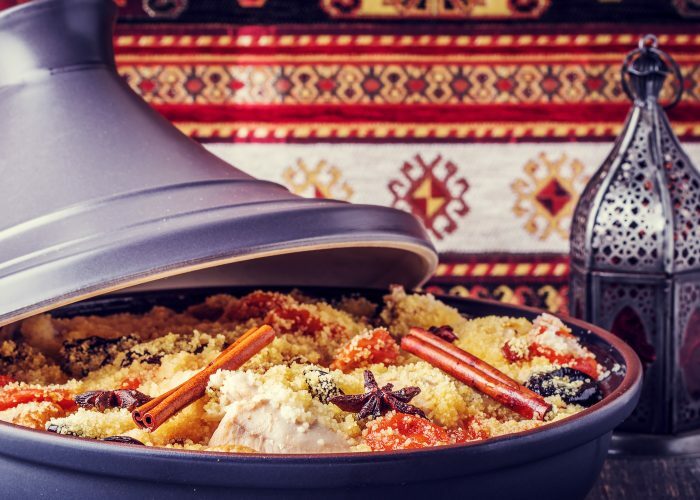 For vegetarians, couscous can typically be served without meat, and if you have a gluten allergy, most of the tagine dishes are made without flour. Beware that you won't have a lot of variety in your meals in Morocco if you have dietary restrictions, so it's wise to pack some protein snacks that meet your needs. As part of the Islamic culture, alcohol is considered forbidden, and therefore many restaurants and hotels don’t serve any form of alcohol. Many of the major cities and hotel chains will have their own bars, but keep in mind it’s still smart to respect and be aware of this cultural practice. Outside of major cities, you’ll find some liquor stores and hotels that serve beer and wine. And while Morocco is overall an inexpensive destination, alcohol will be expensive at hotels and bars. Morocco has diverse geography, which means diverse climates. While you might think the entire country is hot year-round, that is most definitely not the case. I suggest researching the time of year and places you're visiting before you go. Generally speaking, the country's climate is pretty moderate, but during fall, winter, and spring you'll want a jacket at night in most of the major tourist cities. When it comes to the desert, temperatures can be below freezing at night in the fall, winter, and spring, so make sure you're prepared if a desert trip is on your itinerary. Come summer, most of the country is very hot, especially the desert, so take precautions if you're traveling from June through September.